Bike to Work Day is May 10 this year—or May 18, depending where you live. While in some places BTWD is no big deal, in others, it’s the biggest bike celebration of the year. For years, Bike to Work Day has been an opportunity to celebrate riding as an excellent commute option, to encourage interested new riders to try it, and, especially in the last few years, to provide a deadline for finishing up new bike facilities. That’s all good. 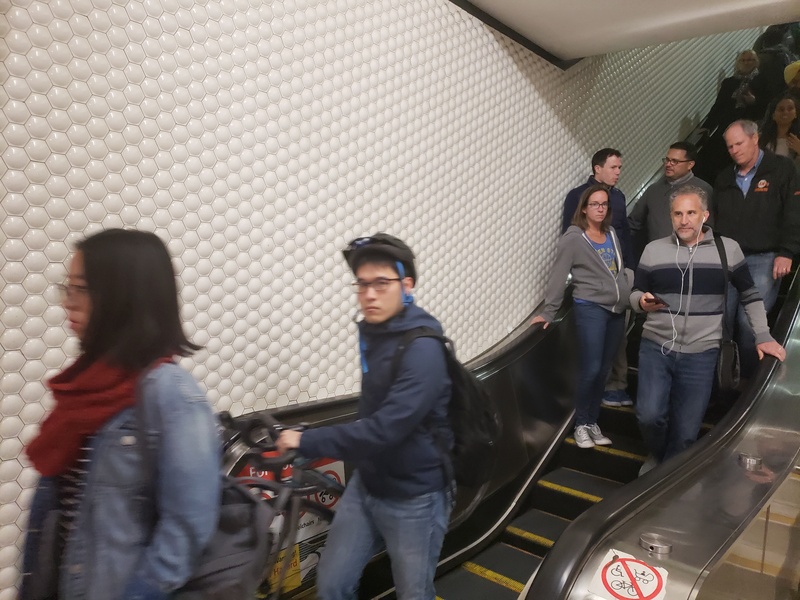 Streetsblog California will, as usual, have lots to say about Bike to Work Day around the state—and please weigh in, send us pics, tell us about what’s happening locally. But first things first: sign up today to participate in tracking bike miles ridden during May. Where you sign up depends where you live. The Sacramento area, where May Is Bike Month, uses a Team Bike Challenge with a highly competitive leaderboard. It’s a long-standing tradition for local business and agencies to compete, with teams of employees that can number in the hundreds. The competition rewards riders and teams who log the most trips and the miles. Team Bike Challenge divides up the rankings among individuals, small, medium, and large employee teams, rider-created teams, and schools. It also distinguishes between number of trips replaced and number of miles ridden. In 2017, the individual with the highest number of trips replaced was M. Whitley, with 262 trips, while the top mileage was ridden by B. Golemohammadi, who logged 1,409 miles during May. The California EPA “Super Team” topped the rankings for trip replacement among large employers, with 1,599 trips taken by bike—and the same team logged over 29,000 miles to top the rankings in number of miles ridden. So far this year, over 5,600 people in the Sacramento area have pledged to ride more than one million miles during May, with the aim to ride two million miles. The May Is Bike Month site has everything you need to know about what’s going on in the Sacramento region, from bike rides to classes to bike route planning to prizes for participation to events like several stages of the Amgen tour, which come to the area during National Bike to Work Week, between May 14-18. In the Bay Area, where Bike to Work Day began, organizers have set the big day for May 10. The Bay Area event has always had strong participation from the county bike coalitions—the San Francisco Bike Coalition, Bike East Bay, and Silicon Valley Bike Coalition are just the big ones—as well as employers, the Bay Area Air Quality Management District, transit agencies, and a long list of other sponsors. But Team Bike Challenge wasn’t working the way they wanted it to. Shiloh Ballard, Executive Director of the Silicon Valley Bicycle Coalition, said, “We wanted to get the sixty percent of people who are interested but concerned about riding. The structure of [Team Bike Challenge] did not necessarily skew in favor of encouraging those folks to ride,” she said. But they believed it was important to find a way to recognize and reward people for whom riding three miles is a giant accomplishment, as well as those who regularly ride much longer distances. After several failed attempts, they settled on a new version of the challenge called Love to Ride. It’s the same site used by the League of American Bicyclists for National Bike Month, and is used internationally as well. “This new iteration is geared towards getting new folks to ride,” said Ballard. “For example, you can get points for encouraging others to ride. It’s a feel-good thing: if you replace a trip, you get a [virtual] reward. You can rack up awards that show what you’ve achieved. It encourages folks to form teams, to help form peer-to-peer camaraderie, to encourage people to ride,” she said. Love to Ride still tracks miles and days ridden, but riders also earn extra points if they are new riders and when they encourage others to ride. 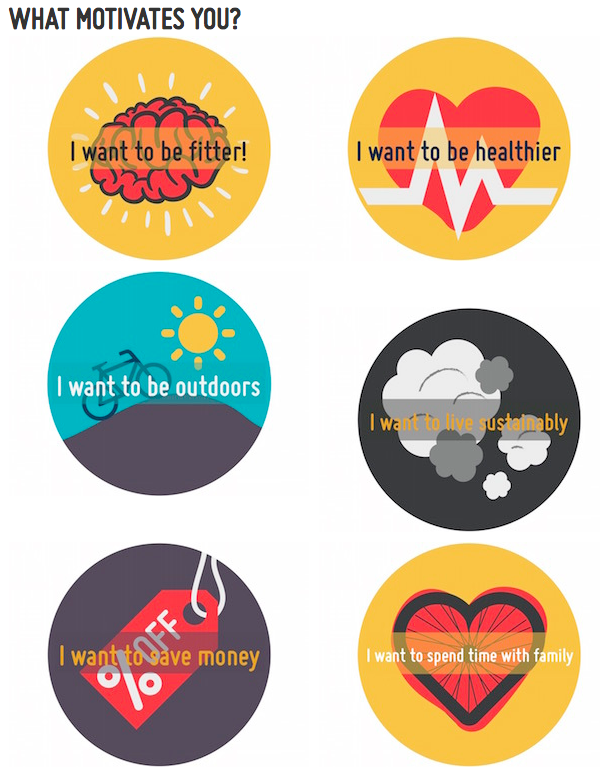 Rewards include bragging rights and virtual badges—and other prizes like bike lights and bike trips, to be raffled off at the end of the month. There’s lots of other information on the Love to Ride site, including ideas for overcoming challenges and obstacles that might keep people from riding. There are also lots of links to local events and programs planned for Bike Month and Bike to Work Day. If you don’t live in Sacramento or the Bay Area, you can sign up on Love to Ride anyway to log your rides, create a team, and encourage friends and acquaintances, as part of the National Bike Challenge. For San Mateo (trips from, to, or through) there’s https://my.commute.org/ for recording trips, and possible prizes. We know that putting together a comprehensive compendium of every Bike Month activity in California is probably impossible, but we're going to make an effort to highlight some of the fun being planned in various areas. First stop: the state capital, Sacramento. Bike to Work Day organizers counted over 20,000 people biking to work today in East Bay cities, an increase of thirty percent over the last five years.